Pure Mineral Dead Sea Cosmetics™ is a brand of luxury cosmetic products that combines the natural rejuvenation powers of unique minerals present in the mud and water found in the Dead Sea, the lowest body of water on the surface of Earth, with our vision to give customers the excellent quality they deserve. Pure Mineral Dead Sea Cosmetics™ has been developing luxury cosmetic products for well over 5 years. Our parent company, Veripack 2000 LTD, is a leading manufacturer of high-quality Dead Sea cosmetic products, essential oils, and natural extract perfumes. Together, we were able to extract nature’s gifts from the Dead Sea and offer them to the world as natural skin & body care products. Our products are sold by authorized distributors and sellers in Norway, Canada, United States, Argentina, Brazil, Italy, Bali, Indonesia, Russia, Ukraine, The Netherlands, Germany, China, and other countries across the world. Pure Mineral Dead Sea Cosmetics™ embraces perfection and guarantees maximum customer satisfaction. We constantly seek new mutually-rewarding business relationships. Feel free to contact us directly or using our contact form. What makes products from the Dead Sea so effective is the rare mixture of 27 minerals, including magnesium, sodium and potassium, all with exceptional cleansing and anti-inflammatory properties. 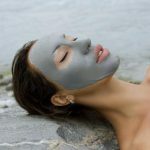 What’s more, the special concentration of the mud from the Dead Sea has been proven to be extremely nourishing and highly effective as a treatment for acne and psoriasis. We have developed three cosmetic collections to give your skin a fresh, youthful look. These collections feature a range of moisturizers, therapeutic masks, anti-aging creams, serums, peels, bath salts, soaps, and other products. Anti Aging Collection: contains special anti-aging complex enhanced with nutrients from the Dead Sea. Spa & Mud Collection: presents all the benefits of the Dead Sea mud in a form of luxurious cream, which is highly effective as a treatment for psoriasis and acne. Customers can choose between bath and after-bath products. Treatment Collection: embraces the healing and rejuvenating effects of all 27 minerals found in the Dead Sea. Products from this collection are suitable for all skin types.